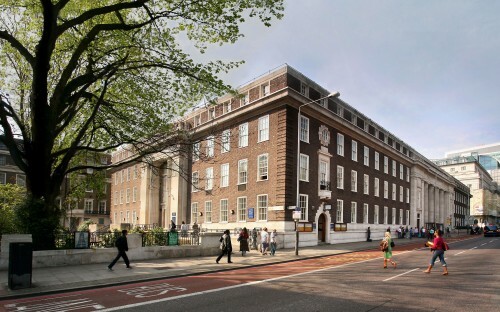 Bookings are now open for the 2019 Annual General Meeting on Wednesday 15 May at the Friends House conference centre, 173 – 177 Euston Road, London NW1 2BJ. The meeting will start at 11:00 prompt, so please take your seats by 10:45 at the latest. The Friends House is located opposite Euston Station, and is a short walk from King’s Cross and St Pancras International Stations. Nearest underground stations are Euston and Euston Square, which are on the Northern, Victoria, Metropolitan, Circle, Hammersmith & City lines and overground. Travel expenses will be reimbursed through the Fares Pool for two Society representatives only; additional delegates’ expenses will not be covered by the Fares Pool and must be agreed by your Society committee. NB: if you are a voting representative of your Society you need to register for the 'General Admission - Voting Representative' (GAVR) ticket. If you are not the voting representative you need to register for the 'General Admission' ticket. Only GAVR ticket holders need show their tickets on arrival. There is a cafe on site; however, you are strongly advised to buy your lunch prior to the meeting as the cafe cannot accommodate all attendees. Alternatives include local restaurants, cafes and shops near Euston, Kings Cross and St Pancras stations eg Leon, Benugo, Upper Crust, Costa, Starbucks etc.